Need more information about booking Home 8999283 ? A unique apartment with 4 private double bedrooms in the perfect location for Nottingham City, the universities, theatres, restaurants, nightlife, public transport and excellent shopping facilities. You’ll love my place and its comfy double beds, blackout curtains, internet/Wi-fi, fully fitted kitchen with electric cooker, tableware, cookware, cooking utensils, double fridge/freezer, bath/shower room with washing machine. These 4 private double bedrooms are ideal for groups, couples, solo adventurers, academics and business travellers. We are making this apartment 'home from home', providing all the facilities to make your stay comfortable. You will enjoy some of the best venues in the UK for entertainment, shopping, eating and pure relaxation. including Nottingham Castle, Nottingham Playhouse, Theatre Royal/Royal Concert Hall, Albert Hall, Galleries of Justice, Rock City, Motorpoint Arena/Nottingham Ice Arena. We are close to Nottingham Trent University, the University of Nottingham, the University Conference Centre and the Teaching Hospitals - Queen Medical Centre and Nottingham City Hospital. Less than an hour away on public transport, we have Sherwood Forest, Rufford County Park, Wollaton Hall, Colwick Park and Holme Pierrepont Country Park. In addition to your private double bedrooms, you will have access to all shared facilities, including the Wi-fi/internet, kitchen and bathroom facilities and your own set of keys to enable you to go and come at your leisure. To make your stay exceptional, you will receive some of the information about Nottingham and places of interest including good restaurants and bars. I do not charge a security deposit. However, we will use TripAdvisor to resolve any issues, regarding the cost for any damages or loss that you make to any items within the apartment. Please note that there are 2 flights of stairs. There is no parking on property - Parking spaces around the area include 2 hour free parking; pay and display and Total, a public Car Park that charges £2.40 per day. Some spaces are shared including kitchen and bath/shower room and the amenities in those areas. 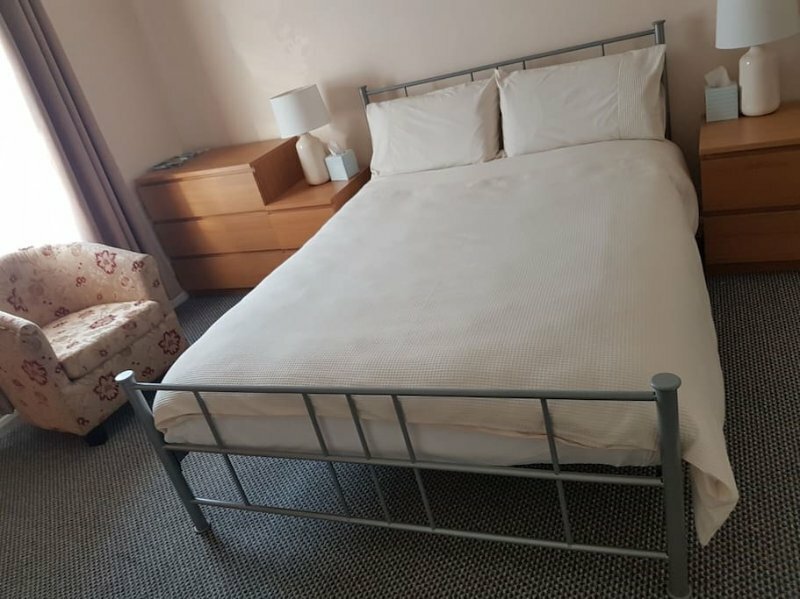 I do not live on the premises, but I am available to offer help regarding the facilities within the flat and the excellent sites including eating and entertainment Nottingham has on offer. This Apartment has 4 bedrooms, 1 bathroom and sleeps 8. It’s been listed on Holiday Lettings since 25 Jul 2017. Located in Nottinghamshire, the average weekly rate is £848. If you’ve already booked, go to Manage your holiday booking to view June the owner's contact details or send them a message. Or send June (the owner) an enquiry through the Contact the owner/manager form if you’d like a quote or more info first. When you pay online through the Book your stay form, a booking request is sent to June (the owner). You’ll find out within 24 hours whether they’ve accepted - no money will leave your account before then. You can also request a quote from June (the owner) through the contact form. The owner will email you the total cost for your dates and a link to book and pay online. Use the Book your stay form to pay provisionally online. You can pay by credit/debit card or PayPal. June (the owner) will have 24 hours to accept the booking and no money will leave your account before then. Why can't I call June (the owner) before booking? You’ll need to contact June (the owner) to do this. Send them a message in Manage your holiday booking or through the contact form on this page. You can request to change the dates or number of people on your booking via the Manage your holiday booking page. To change your holiday dates use the Edit booking button. If you need to change the number of guests staying then send June (the owner) a message. If June (the owner) agrees, they’ll send you a revised quote outlining the changes. You can review and accept/decline this from the Manage your holiday booking page. You’ll have 48 hours to take action before the revised quote expires.